Everyone loves free games, but nobody likes a free game that’s a piece of HDD-hogging garbage. 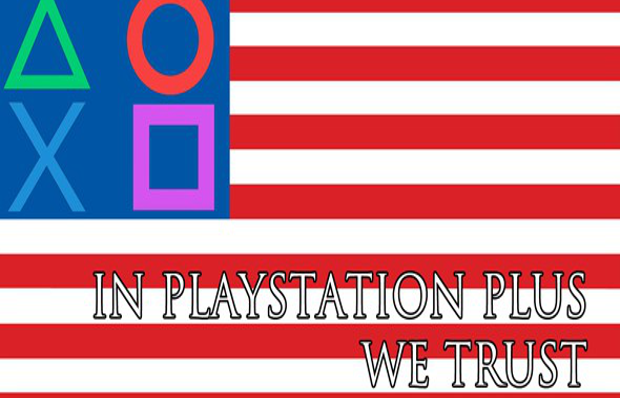 “In PlayStation Plus We Trust” is a weekly feature outlining the new free addition(s) to the Instant Game Collection to help you decide whether that newest freebie in the Store is worth your time. The service is on a roll. We once again have a winner with (deep breath) Bit.Trip Presents…Runner2: Future Legend of Rhythm Alien. Aesthetically, Runner2 takes a bit (no pun intended) of a departure from Bit.Trip Runner. The pixelated environments give way to much more color, 3D modeling, and bizarre backgrounds. It’s a lot different, but insanely charming. There’s a but of a story, framed in the manner of a 50’s radio serial (complete with exaggerated narrator). In addition to being a lot more fun to look at, it’s a lot harder on the eyes as well, dramatically increasing the challenge and retaining the focus on razor-sharp timing. There is also a delightful selection of Super Meat Boy Warp Zone-esque bonus stages, complete with the old pixelated art style. At its core, however, this is still the sequel to Bit.Trip Runner. It’s still insanely satisfying to chain jumps, slides, and more together and listen as collection coins chimes along with the music and nabbing upgrades makes the music more complex. It’s also still insanely difficult at times too, but the difficulty ramps up at a good rate and things don’t get too frustrating. The toe-tapping soundtrack is absolutely perfect, and every facet of the game is bursting with personality. The icing on the cake is the absolute plethora of bonus goodies, and this is one wonderful game that will put a smile on your face. If Commander Video isn’t enough for you in Runner2, there are also a bunch of characters available to purchase as a DLC pack here. The pack includes Spelunky Guy, Razputin (from Psychonauts), Dr. Fetus, Josef (from Machinarium), Invisible Commander Video, and Quote (from Cave Story). Now is the time to get the excellent Tomb Raider reboot. This bundle includes the full game, a 3-pack bundle of weapons from Hitman: Absolution, the Shantytown multiplayer map, the DLC pack of three outfits for Lara, and, for some reason, Quantum Conundrum. All that extra stuff is unnecessary for the enjoyment of Tomb Raider, but it’s just a great game and worth the price. Plus you get the pretty-great Quantum Conundrum, so it’s definitely worth considering this one. Silent Hill: Book of Memories $29.99 $14.99 $7.50. What are you planning on picking up? Tell us in the comments or find us on Facebook and Twitter, and check back next week for the next round of perks!